To illustrate our content communicator the full PcPe eBook is presented below. The PcPe programme is being used around the world. Read the reviews on Amazon. If you have questions please select the link above to the blog. 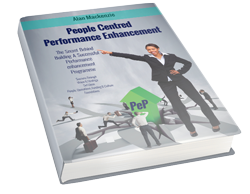 The full PcPe eBook is below. You can button bookmark the eBook on your phone, iPad or Tablet homescreen. Tap the eBook App Image & this page will open. If you opened this page using an Android device. This COMMUNICATOR shows the links option rather than menu tabs. We have used flipbooks here to illustrate the content. A wide variety of image, video and webpage presenters are available. board meeting packs, product manuals, doc's for new staff, etc. All communicators easily update with instant availability. The eBook is best read after reviewing the one page summary. What’s this e-book about and what are the implementation needs? Why Has This e-Book Been Written? Throughput Volume & Value Budgets?